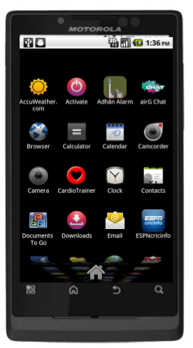 In addition to the Sprint Photon, Motorola today also announced the addition of the Triumph to Virgin Mobile. It's got a 4.1-inch touchscreen, a 5MP rear camera (with HD recording) and VGA front camera and runs atop Android 2.2. And it does all that in a form factor that's just four-tenths of an inch thick.